KEN YUSZKUS/Staff photo. 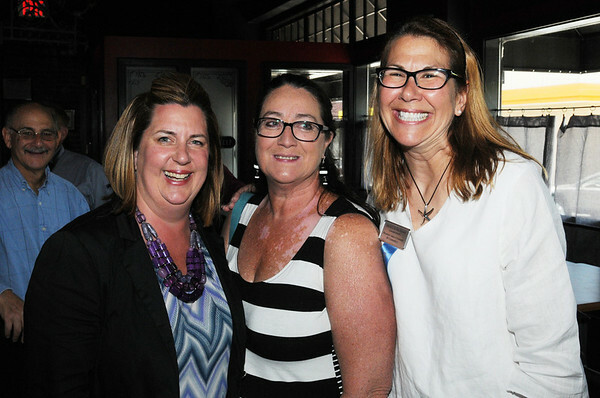 From left, Lynn Feazel of AFLAC Insurance, Marisa Cole of Sensational Travel, and Michelle Talisman chairman of the Peabody Chamber of Commerce gather at the newly opened Black Sheep Pub & Grille in Peabody. 6/2/14.